The Wilkes Women’s Volleyball team gathered in uniform for a picture in Puerto Rico. The Wilkes women’s volleyball team travelled to San Juan, Puerto Rico this past week in search of new competition. The trip also served as a way to strengthen the bonds between the members of the team as well as experience a new culture. On day one of the competition in Puerto Rico, the Lady Colonels took on Widener University. Wilkes took the loss after three close sets that went in the favor of Widener. Game two of day one, was more of the same as Wilkes took another straight set loss from the Eagles of Bridgewater College. On day two, the team first faced off against Wesley College. Wilkes dropped the first set, but won the second in a close score of 25 – 23. The last two sets went in favor of Wesley to result in a loss for the Lady Colonels. Wilkes’ fourth match in Puerto Rico was against Simpson College. That match was all Simpson, as they defeated the Lady Colonels three sets to none. While Wilkes women’s volleyball returned home winless, they returned as a closer and stronger unit than when they left. “I think this trip was definitely a great bonding experience for our team and a good way to start off our season,” said senior captain Madison Scarfaro. Outside of competition, the team got a chance to explore and learn about the culture of San Juan, Puerto Rico. 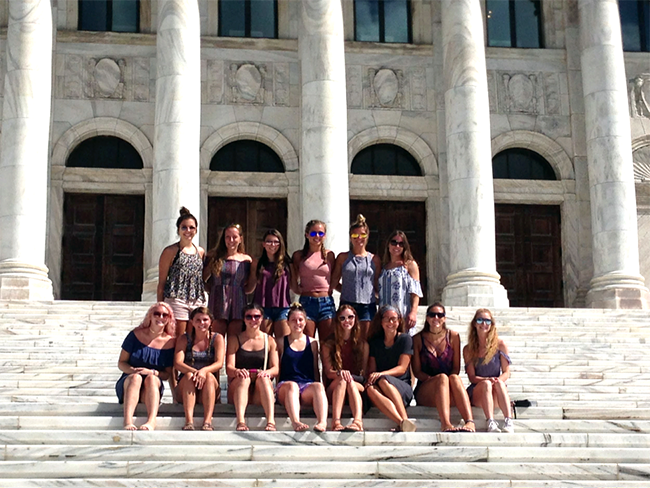 As a group, they enjoyed touring the city visiting sights such as Old San Juan’s capitol building. They also enjoyed relaxing trips to the beach in their off time. To the members of the team, going to Puerto Rico was about more than just the sport of volleyball. 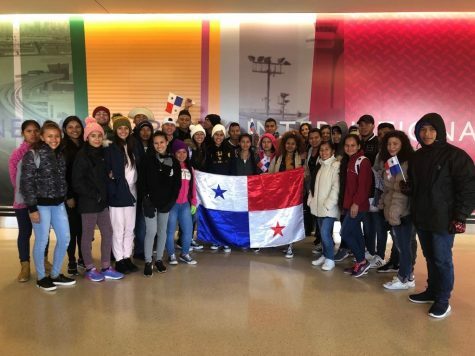 While the main focus of this trip was to see some good competition and play volleyball in a unique location, the team got more out of their trip to Puerto Rico than that. Alongside playing some challenging teams, the Lady Colonel volleyball team gained knowledge and understanding of a different culture. On top of that, they grew closer as a team which will help in the long run as their season progresses. On Wednesday, Sept. 13, the volleyball team will face off with Eastern at their first home and conference match.